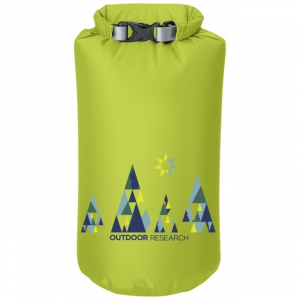 Visit Therm-a-Rest's SimplyDry Sack page. 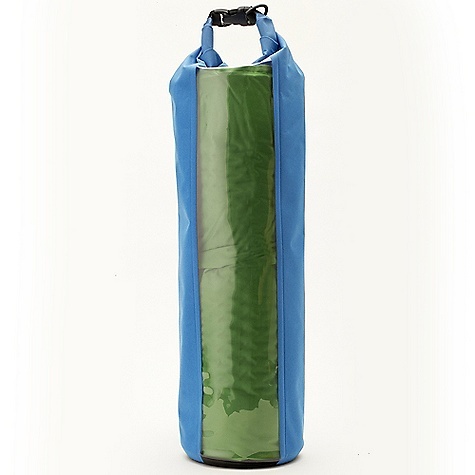 Thermarest Simply Dry Stuff Sack Extra Large is a lightweight, taped, fully-waterproof stuff sack that will keep your gear dry in wet climates. Made from durable, waterproof 200d Cordura silnylon. Roll-down top makes your travels leak- and worry-free. 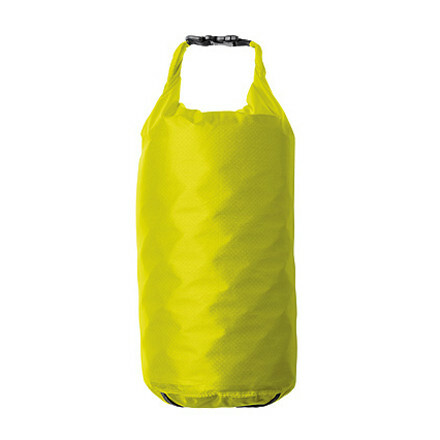 Keep your Thermarest pad or any other gear dry on the trail with this handy stuff sack. Weight: 2.5 oz.. Dimensions: 8 x 20 in. Ultralight and waterproof, this taped silicone-treated 20D Cordura nylon bag features a roll-down dry bag closure that keeps gear packed tight and safe in any weather. Large and Extra-Large sizes feature compression straps. Sized to fit Therm-a-Rest mattresses and accessories such as the Therm-a-Rest Ventra Down Comforter. Stuff your down sleeping bag or parka in the Therm-a-Rest Simply Dry Stuff Sack and keep your feathers fluffy in any weather conditions. 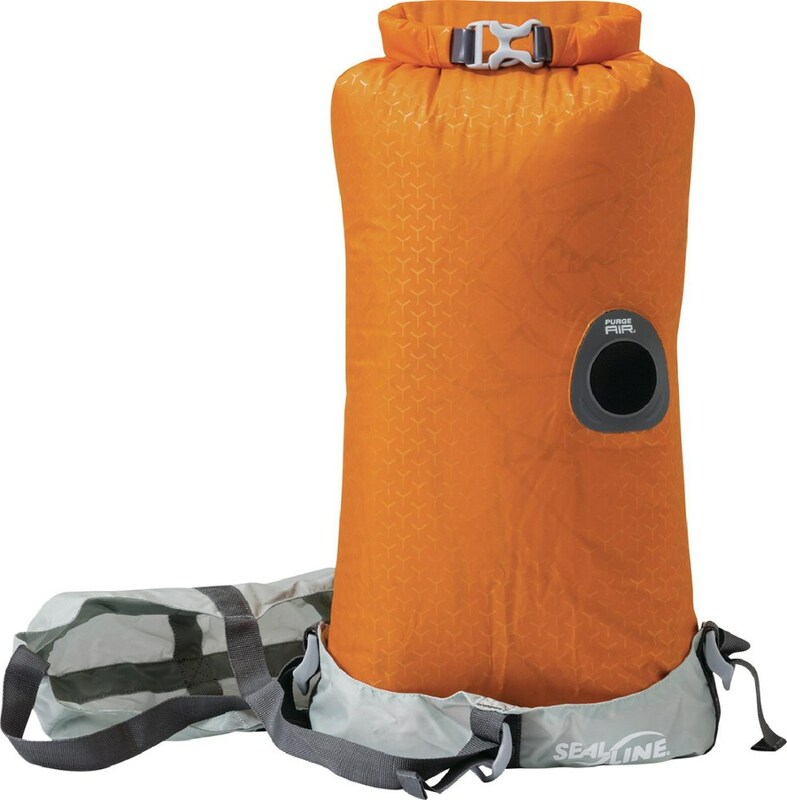 A roll top and fully taped, 200D Cordura fabric keep moisture out and dry gear in. 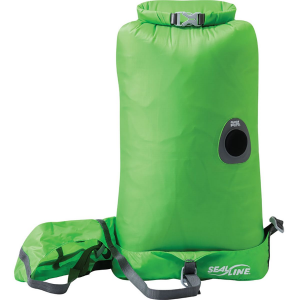 Use it for clothes on a river trip or your down sleeping bag on a backpacking trip along the coast. Protect your weather-sensitive camp gear from the elements in the SimplyDry Sack from Therm-a-Rest, a silicone-treated nylon bag that is seam taped and totally waterproof. Keep your down bag or jacket safe from moisture in this durable bag that employs a roll-down dry bag closure to pack your gear down tight. 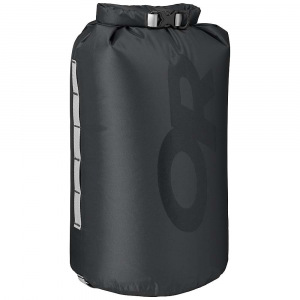 The Therm-a-Rest SimplyDry Sack is not available from the stores we monitor. It was last seen October 27, 2014	at Tahoe Mountain Sports.